Want to learn how to do it yourself? We offer CLASSES AND WORKSHOPS to teach you the skills to start and produce your on podcast or videocast. We also offer CONSULTATIONS for a more personalized experience. 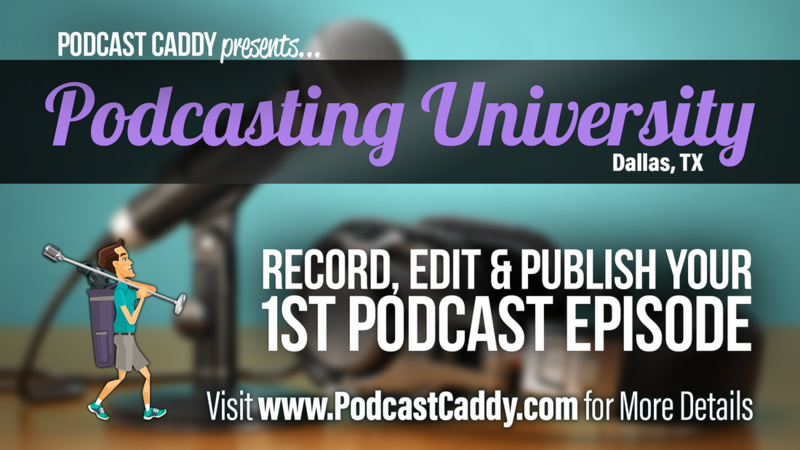 Podcasting University it a two-day training that teaches you the step-by-step process of pre-production, production, and post-production phases of starting your own podcast. ​If you have a desire to become a podcaster and/or YouTuber but don’t know where to start, this is definitely the class for you. This class is for the person who has the itch to become a content creator as well the business owner who recognizes the need to create personalized and organic content to draw potential consumers to your business.